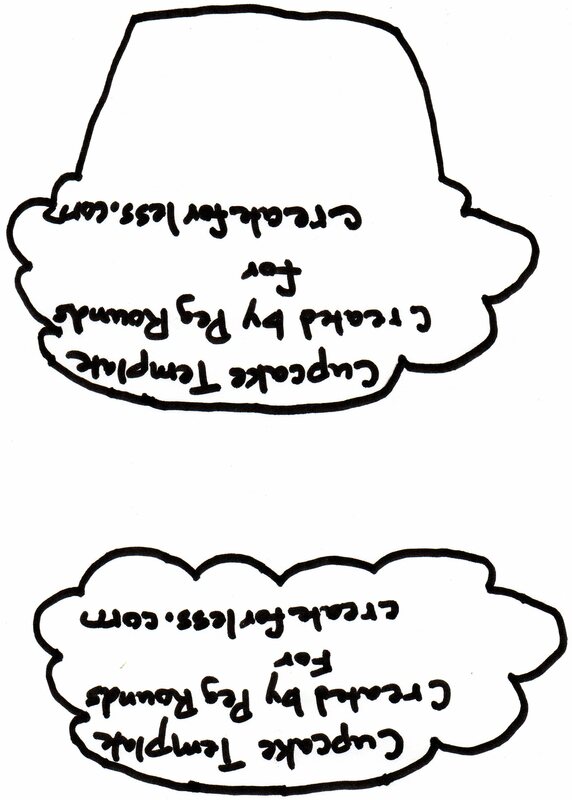 Send this sweet treat cupcake card for a birthday or an invitation to a party. The wrapper opens to show a special message wishing a happy birthday or the important details about the party. It’s easy to make with the included templates and instructions so you will be able to share this fun card at your special occasion, too! Begin by printing out both sheets of the templates (1 | 2) and tracing them onto your favorite cardstock and patterned paper. The patterned paper used here is from the You’ve Invited collection by Bo Bunny. 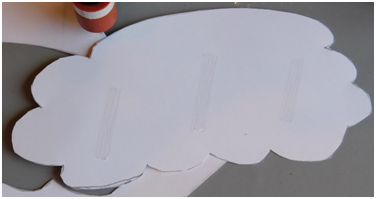 Cut out all of the pieces using a pair of scissors. Place the wrapper piece on a scoring board lining up the line on the wrapper with one of the grooves on the board and score down the line as shown. Now, fold it on the score. Run the piece through a paper crimper making sure to line the paper up at an angle parallel to the fold line. 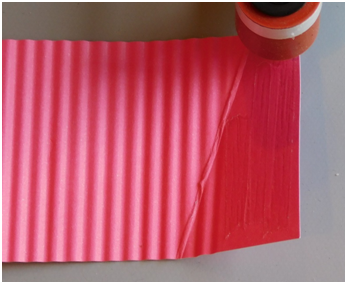 Add some tape from a tape runner to the end of the wrapper. 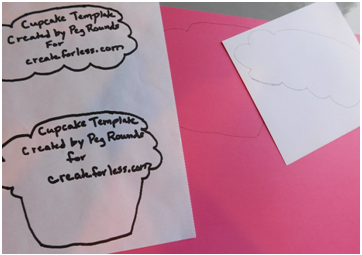 Line the edges up with the cupcake card base and adhere the flap to the back of the card. 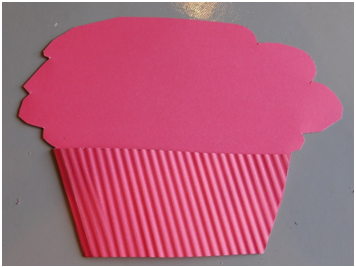 Now, cut the icing out from the patterned paper sheet and add tape to the back of it. Adhere it to the top of the card base. 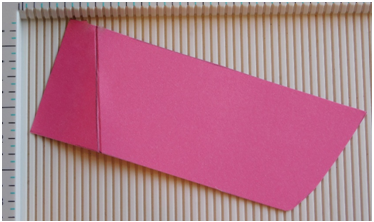 Stamp the message or invitation on the inside of the card. 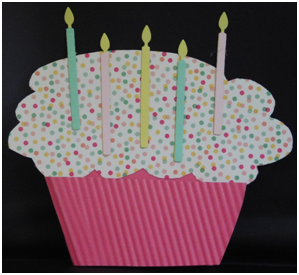 Die cut several candles using the Birthday Die Set from Little B and your die cutting machine. 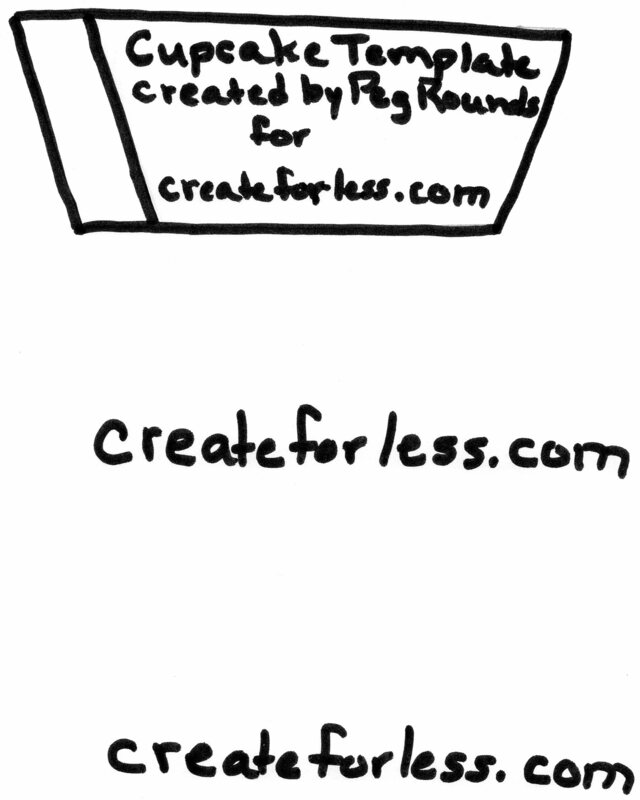 Cut them in various colors, but also cut some from yellow cardstock. 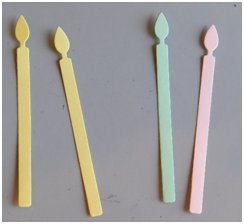 Use the scissors to cut the flames off of the candles and then adhere the base of the candle over one of the yellow ones that you cut. 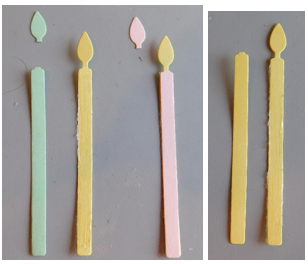 Add dimension to a yellow candle by adding a yellow base over a yellow candle as shown in the picture. Position the candles on the cupcake using some tape to finish the card. Who doesn’t love to receive a sweet treat on their special day? This cupcake is sure to be a hit. This is one cupcake that is truly too cute to eat! 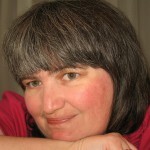 This entry was posted in Birthdays, Cardmaking, Crafts, Paper Crafts and tagged Craft Techniques, Invitations on July 27, 2016 by Peg.